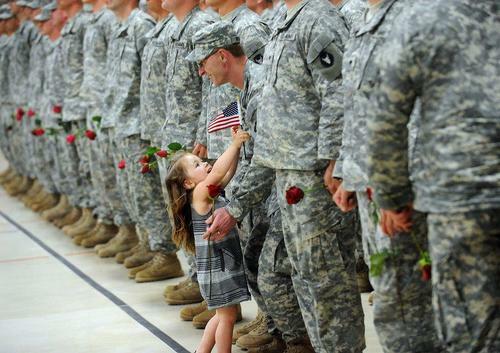 Praise God for our troops today, everyday. My father is a veteran. He fought in the Vietnam War alongside American soldiers. He sacrificed his best years and came to America with nothing: but this country still blessed him with many opportunities. Despite the many opposing views on war and foreign policy, I believe the one common ground is the respect we have for our soldiers. They are people with hopes and dreams and fears, like you and me. And however you feel about our nation today, our troops are worth celebrating. Thanks dad, and to our many troops for your hard service.